Even if this isn't exactly the Islands sound you've heard before (it's close, though), it's the same story that was told on Arm's Way, and it even followed Nick Thorburn back to his Unicorns days. But good ideas go undeveloped and dead weight counteracts whatever creativity Vapours offers. Something different between this album and Return To The Sea, the band's first, is a dominating level of sameness that borders on laziness. Islands' distinct sound, especially vocally, has pretty much vanished in what appears to be a misguided attempt at maturity. Thorburn's projects have been accused of laziness before, but usually it was of the ADD variety; an ear-catching hook would reel listeners in, but there was always a looming threat that the song would go nowhere. Older tracks like "Swans (Life After Death)" were capable of building steam and staying interesting, yet they were exceptions on albums that, as a whole, couldn't live up to the power of their top tracks. 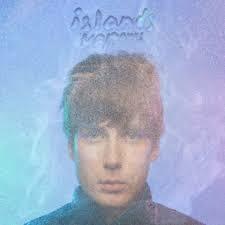 What best characterizes this album is something new to Islands: hollowness. Even at its finest moments, the this-is-nice sound produced on tracks like "Tender Torture" and opener "Switched On" are the kinds of things that you sway back and forth to at a concert, but provide nothing that can be appreciated at a deeper level. There is neither anything thought provoking, nor particularly exciting offered here, only varying degrees of pleasantness. Of the few standout moments, "Heartbeat" offers a memorable hook, but it takes less than a minute before a misguided vocal effect wipes out the positive moment. Earlier pieces that amused or excited the listener have given way to more approachable sounds constantly on the verge of blending in completely. While seldom bad and almost wholly listenable, Vapours proves to be a bland disappointment from a group of usually creative musicians.